While gold has many uses (from practical to esoteric), this post focuses on the use of gold as a means to help grow your assets and as a way to provide protection in the future by using it as an exchange for goods such as food. Most people think that you need a big sum of money to open an account for gold investments. This is not true. While typical investment firms do require a large sum to get started, there is a way you can start a gold-based investment account with very little money. BitGold enables you to open a gold-based account with minimal funds. BitGold is an innovative financial platform that enables you to save money & buy increments of gold as your account value increases. Account holders can also use gold to make payments in gold or earn gold through the platform by invoicing in gold. Why buy real assets such as gold? First, commodities, such as gold and silver, provide protection against economic instability and over the long-term rise during economic downturns. Also, they provide protection against financial market declines. For example, unlike stock prices that can go to zero, the value of commodities cannot. Commodities are tangible assets, and they offer no credit risk. There are no questionable financial statements to figure out, no convoluted accounting, like in buying stocks. Why is this a good window of opportunity to buy gold now? Gold has been rising because the economy and stock market are collapsing. The unprecedented debt that’s been skyrocketing since the last 2008 financial market meltdown is triggering another meltdown. Contrary, to what the main stream media is saying, the U.S. economy is in serious trouble and heading toward another collapse that is likely to be bigger than the one we had in 2008. We see the symptoms of a broken economy all around us. Unemployment and the decline of the middle class, are just two examples. Reckless governments that created the debt bubble that’s bringing down the economy have neither the means nor the desire to fix the economy. The value of our paper money, which is not backed by real assets, is losing its value. So the price of gold–a “real asset” is rising. People want assets that have real value. The point of gold is that it’s not somebody’s else paper currency. It’s yours. In the case of an economic meltdown when the dollar loses its value, you could use gold in exchange for food or other needed supplies. Unlike paper currency, gold will hold its value because it is a real asset. 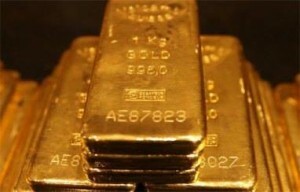 Many market insiders are predicting that gold prices will surpass the 5,000 level in the near future. Peter Schiff, an analyst who predicted the 2008 financial market meltdown years before it happened, is saying the price of gold is going to skyrocket, and I believe his is correct. One thing seems certain, while the price of gold may experience some dips in the short-term, over the long-term it is likely to rise beyond most people’s predictions. Expanded awareness –in all areas of our lives– empowers us to break thru boundaries and to take advantage of opportunities!